Today the girls shipped out a custom order of 10 pairs of plain baby bloomers. 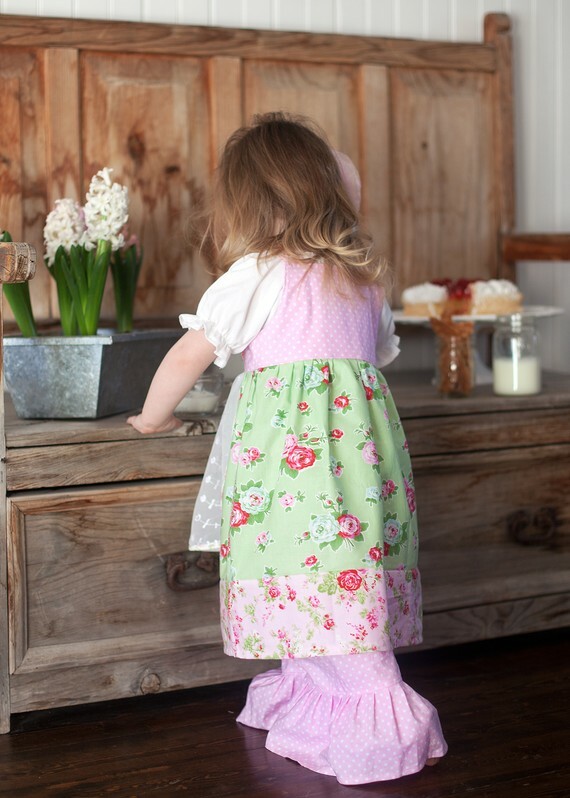 These bloomers are my base bloomer for our monogrammed bloomers. A grandma wanted all her granddaughters to have these for a photo. Are they not sweet? The girls did most of them themselves. I usually cut out and then they can sew while I am doing school with the younger set. 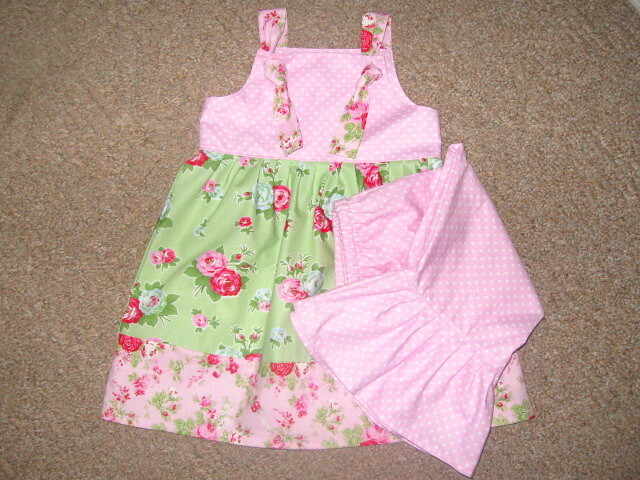 Another order we did recently was this knot dress and pant set. This is the photo she worked from. 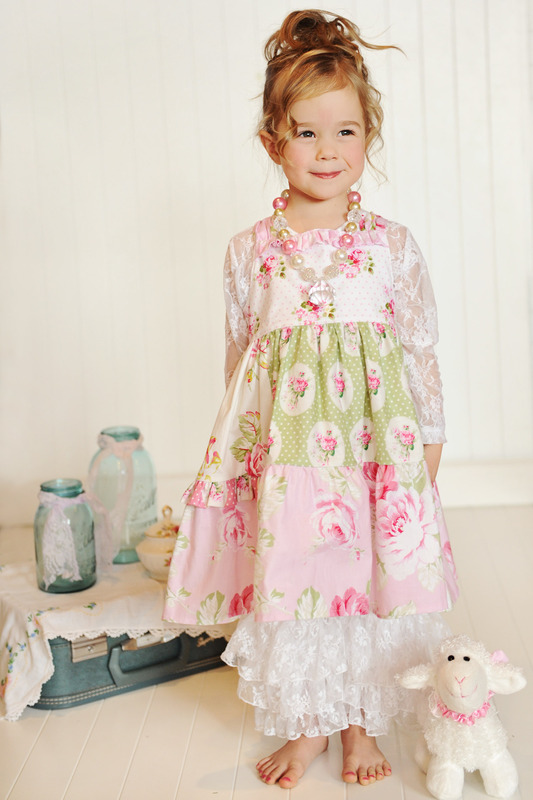 The mama wanted this dress minus the apron but with the pink dot pants. So, that is what I did for her. I really appreciate when ladies ask for special orders, and custom orders. I want people to be really pleased with what they order! And I’m real good with directions!